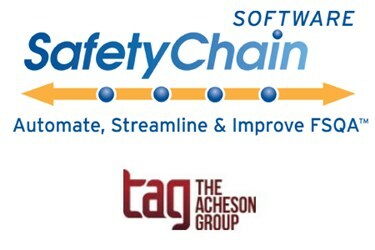 On the last Friday of every month, SafetyChain, a leading provider of food safety and quality assurance automation and compliance solutions, hosts FSMA Fridays™, the leading online forum for the food and beverage community to learn the latest information about the FDA’s Food Safety Modernization Act (FSMA). Featuring Dr. David Acheson, the popular monthly interactive pod/webcast is sponsored by SafetyChain Software and The Acheson Group. Barbara: Good morning and welcome, everyone, to FMSA Fridays. Our topic for today is High-Risk Food Methodology. I am Barbara Levin; I will be your host today. Welcome back to FSMA Friday, David and Jennifer. We’re going to jump right in with you, David. As most of you know, we start every FSMA Friday — before we get to the topic of the day — with the latest FMSA updates. David, welcome, and what's the FDA up to? David Acheson, Founder and CEO of the Acheson Group: Well, Barbara, I think this is going to be the shortest update since we've been doing FSMA Fridays, because the answer is nothing. Now, I’ll have the FDA jumping all over me because I said they’re doing nothing. In the context of FSMA, I suspect they're working hard behind the scenes to try to get out a new bite at some of these rules, the animal rule, the produce rule, and the human prevention control rule. But, they’re not out yet. Maybe they'll come out this week, next week, who knows? But other than that, they've been pretty quiet, and I suspect that's what they're working on. As soon as they're out, we'll be all over it.